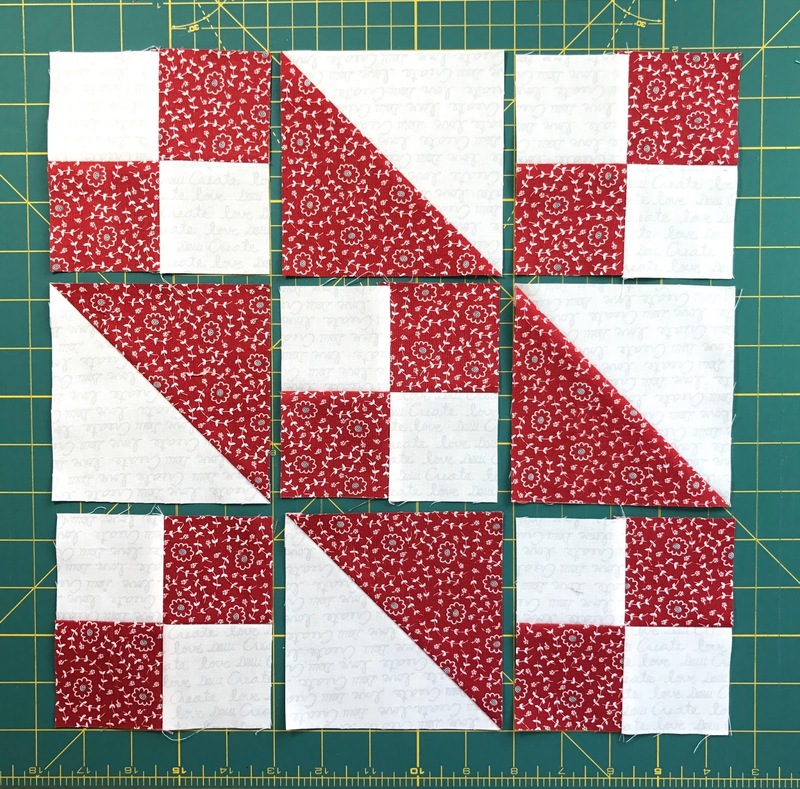 This year I'm participating in a Birthday Bee, meaning there is a group of twelve or so quilters who make a block for each participant during the month of their birthday. 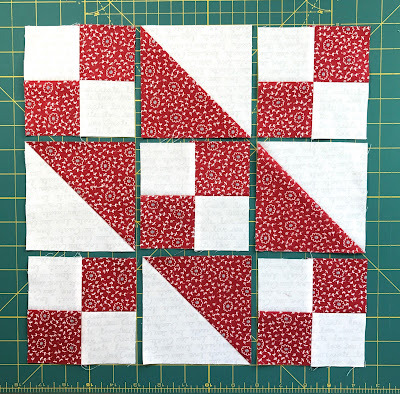 The block that I have chosen is Jabob's Ladder, and although my birthday isn't until October, I'm providing a tutorial ahead of time for those who like to get a jump on things. I'm so excited about this block for a couple of reasons. 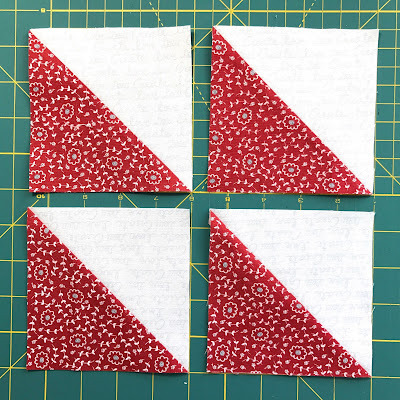 One, I love traditional blocks and have always wanted to have a Jacob's Ladder quilt. 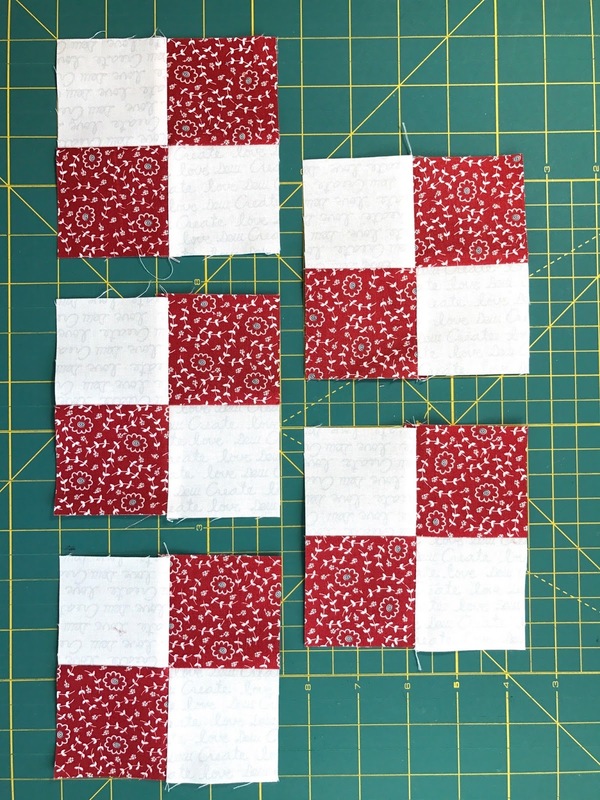 Two, red is my favorite color and I'm looking forward to having a red and white quilt. 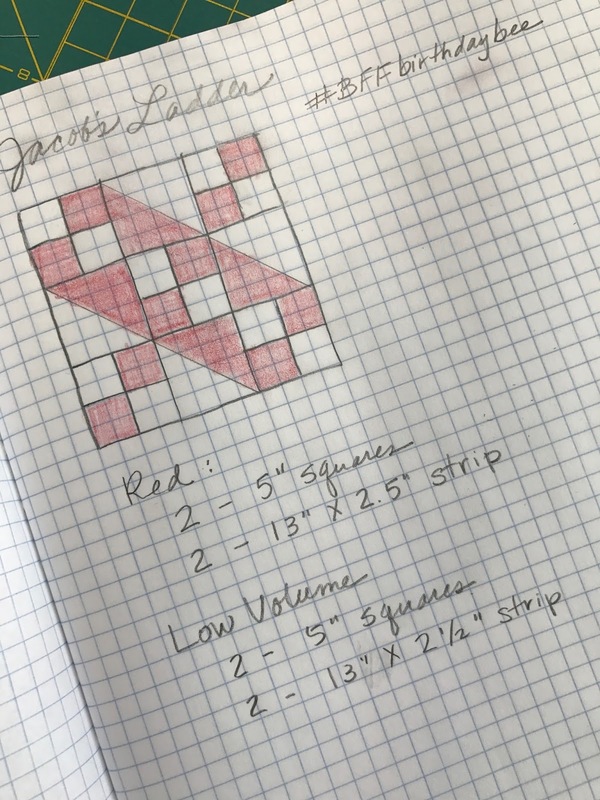 I'm also excited that this quilt will be made with the help of so many of my friends. Here's a little sketch from my book of ideas. Ready to get started? Let's go! 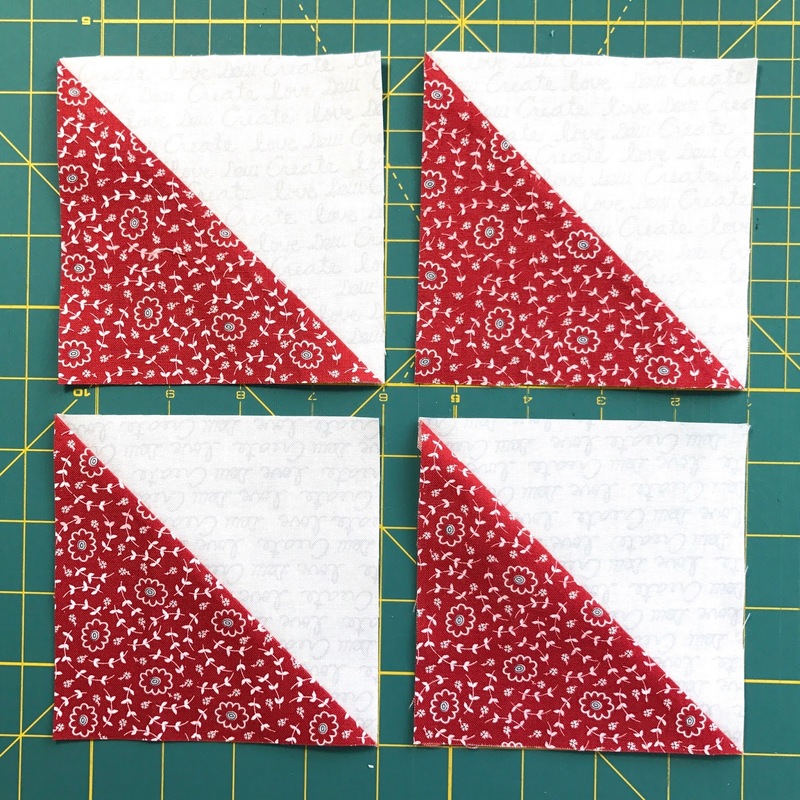 To make the half square triangles, lay the low volume fabric on top of the red fabric, right sides together, and draw a line diagonally from corner to corner. Cut each apart on the line. 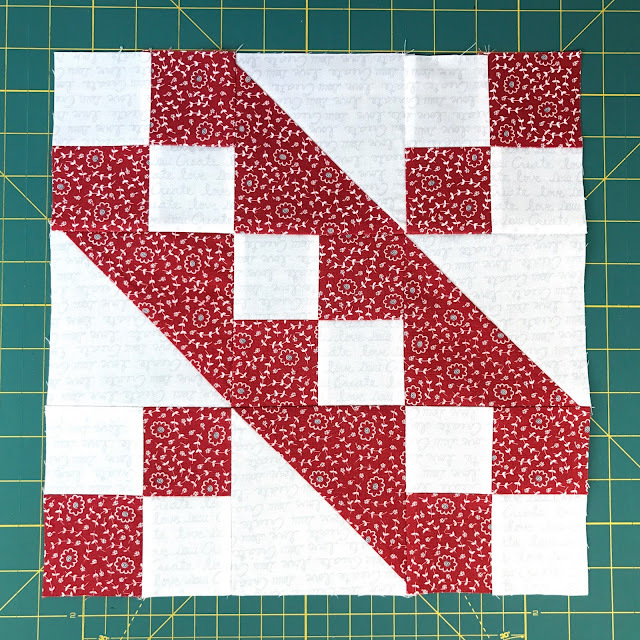 Press to the red side and square each block to 4.5". 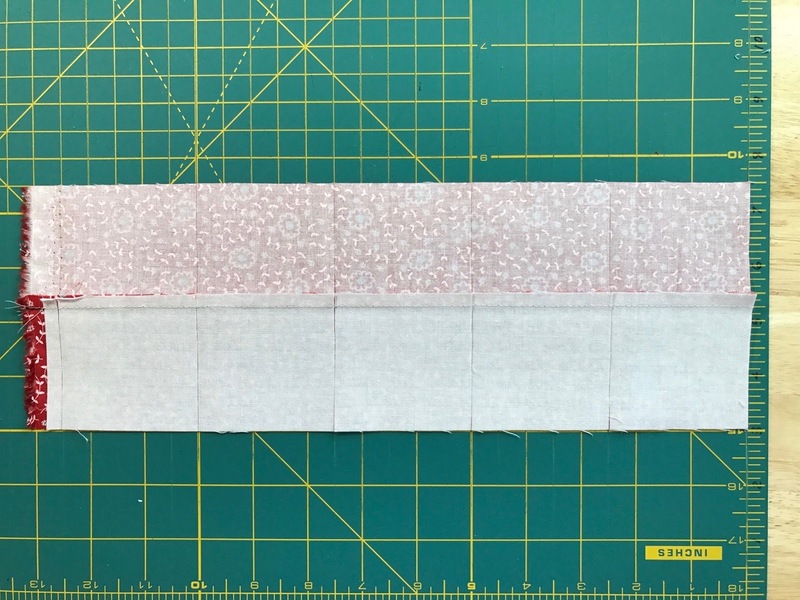 Sew one red strip to one low volume strip. Repeat with other set. Press to the red side. Nest the two strip sets, right sides together, so that red is facing low volume. 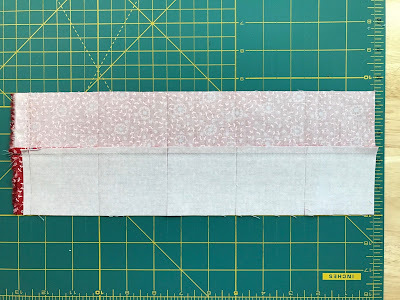 Sew together along right edge, then press open. Arrange your pieces and sew together.